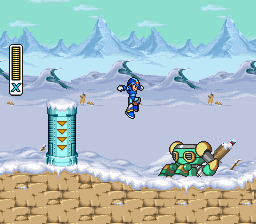 SNES Mega Man X (USA v1.1) in 34:48.42 by Wodball. The movies for this game are still being improved, so faster versions can be expected in near future. In my opinion (Bisqwit) this movie doesn't show very much mastership over the game, but it does complete the scenes faster than any experienced player would.